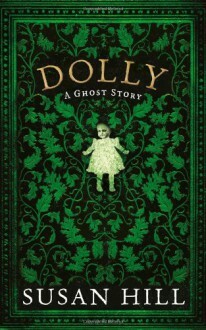 Susan Hill, author of "Woman in Black", is the greatest living writer of ghost stories, and here is a perfect chiller: a story of two damaged children filled with unease, the supernatural and horror. The remoter parts of the English Fens are forlorn, lost and damp even in the height of summer. At Iyot Lock, a large decaying house, two young cousins, Leonora and Edward are parked for the summer with their ageing spinster aunt and her cruel housekeeper. At first the unpleasantness and petty meannesses seem simply unpleasant, calculated to destroy Edward's equanimity. But when spoilt Leonora is not given the birthday present of a specific dolly that she wants, affairs inexorably take a much darker turn with terrifying, life destroying, consequences for everyone. Creepy. Doll. Again, it has a Benson feel to it, rather Edwardian and male until the very end. An annoyance: the blurb on the back of the copy I read said "west of England" but the fens are in the east, near Cambridge, not the west which would be Wales. Library copy.